Last day of The Unraveling’s 99 cent sale! Tomorrow my Kindle ebook goes up to full price – 2.99. Buy your copy today! I’m fantasy author Jill Archer’s last ‘Five Photographs’ guest, a great series of author interviews through personal photographs. Pop over and see where I write and hunt for fossils. I–we–have a fun interview today over on Toni Decker Books. Drop in to meet Annmar and Daeryn! Happy Father’s Day to my dad, who is up in the grain bin of a Gleaner combine leveling the grain. His dad, my grandfather Herb Wanrow, is standing below. 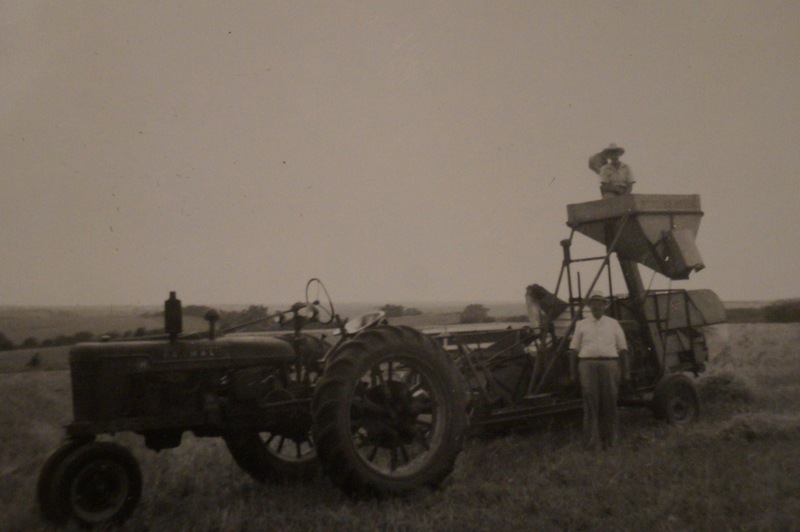 These are some of the later–1940s–self-propelled farm machines my grandfather sold, but I’ve been digging through our family history and talking to my dad about their steam engines. 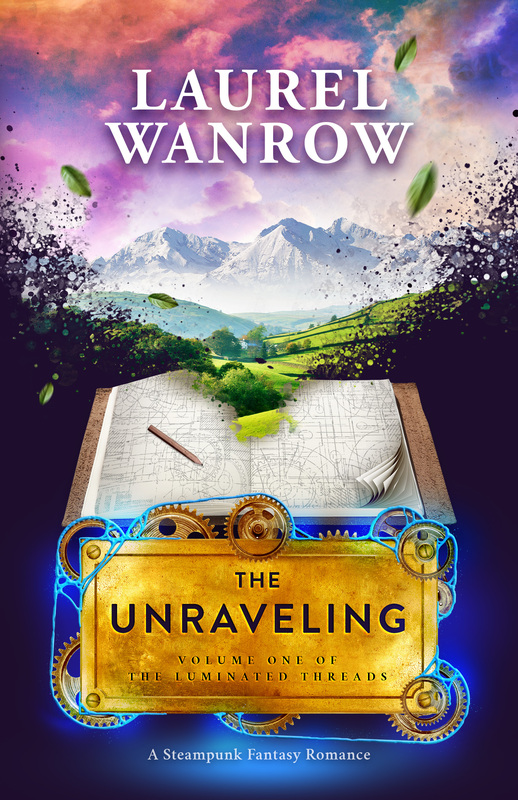 I’m offering a signed print copy of The Unraveling on Goodreads. Failing to get their widget to work, I’ve decided it’s better to spend my time writing and just post this plain link! 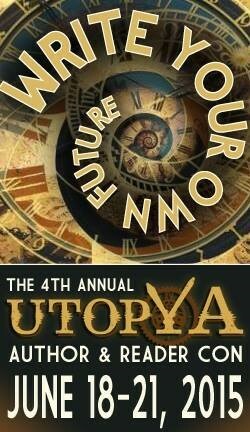 We’re less than 24 hours from the start of UtopYA, an author-fan con a fellow steampunk author has raved about. It’s four days of fun in Nashville, Tenn, an easy drive for me (who likes driving across country–really!) and the focus is on young adult and new adult supernatural and contemporary fiction–right up my alley! But sadly I’d already booked my summer with self-publishing and trying to squeeze in a bit of writing. LOL. Instead, I’m going in spirit with my friend Nooce Miller. 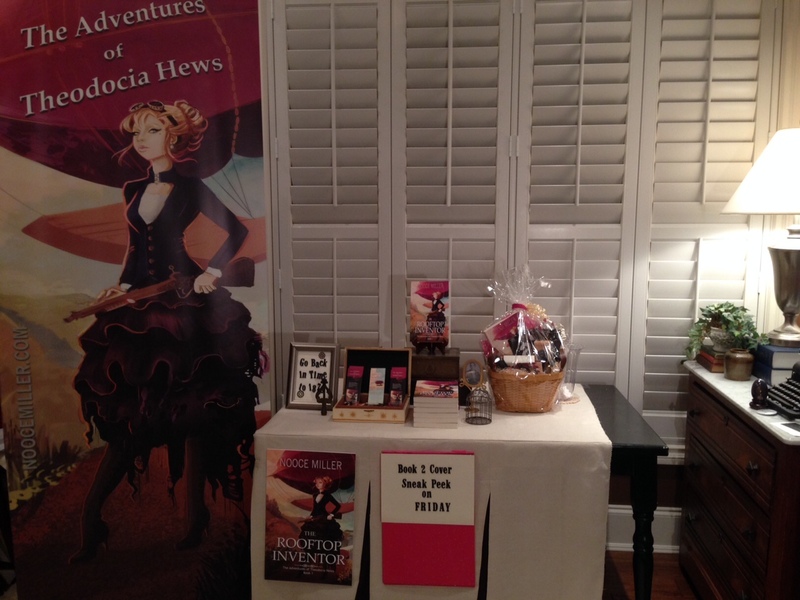 Nooce has spent weeks, not just getting her print book formatted to perfection for the Saturday night author signing, but creating an exciting raffle basket, giveaways and running down the best deal in the midwest for a beautiful banner. Doesn’t Theo look lovely fullsize, wielding her geared shotgun to protect her airship! It’s Nooce’s first signing as a published author–I’m so excited for her! If you’re traveling to Nashville, pop into the Millennium Maxwell House Hotel and look for Theo’s magenta airship on Saturday, June 20th. My print book is live! 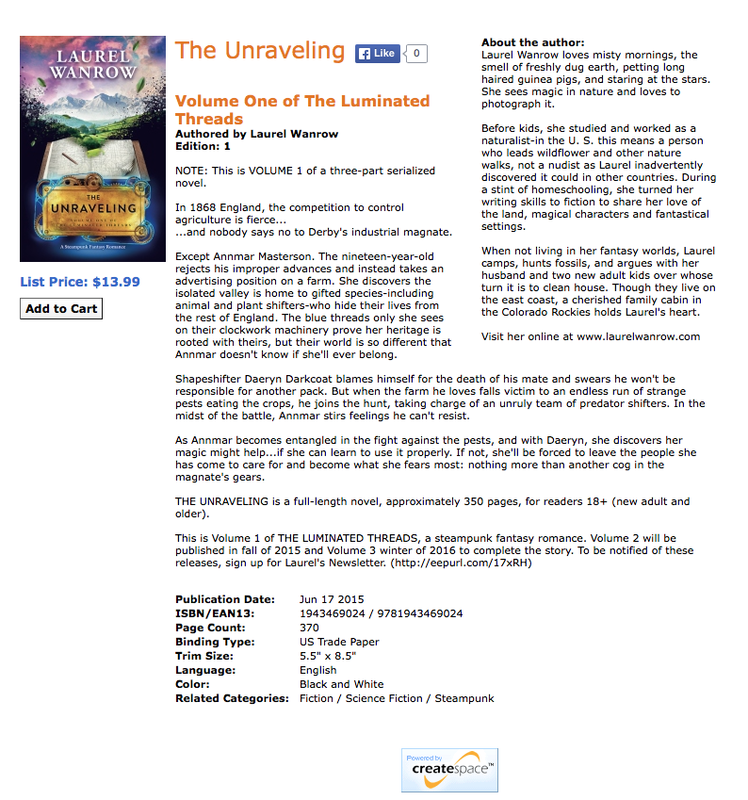 I’m so very excited to post that The Unraveling paperback is available through Createspace. It’ll be a few days before it loads on Amazon, but until then it can be found via this link: https://www.createspace.com/5436023. Today I’m visiting my friend Vicki Batman on her blog Handbags, Books…Whatever and showing off my favorite handbag! Stop by and visit! And thanks to CBB Book Promotions for a hosting a great cover reveal with me!